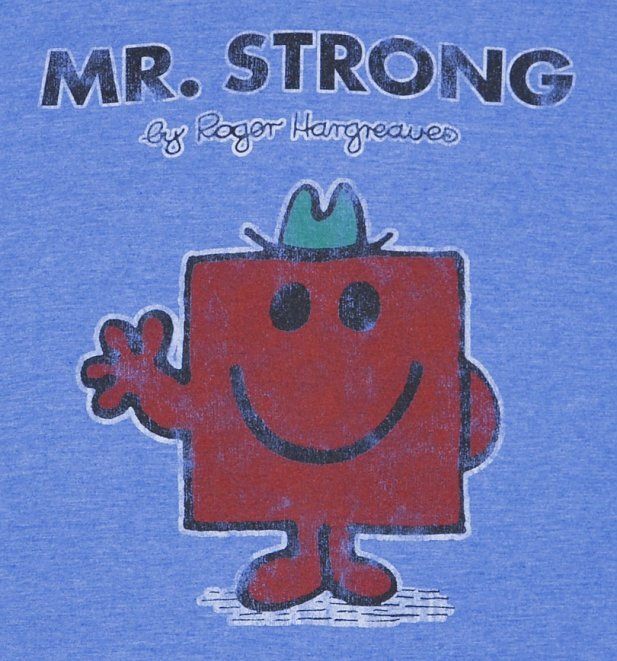 We are delighted to have this awesome collaboration with Roger Hargreaves available exclusively at TruffleShuffle. Sitting alongside childhood favourites like Roald Dahl, Judy Blume, Eric Carle and other famous authors; this Little Miss and Mr Men range is a much welcomed addition to our existing book inspired collections. Taking inspiration from the classic book covers, our nostalgic designs are cheery and fun, just like the characters that star on them. 'You wanna know how I got these guns? 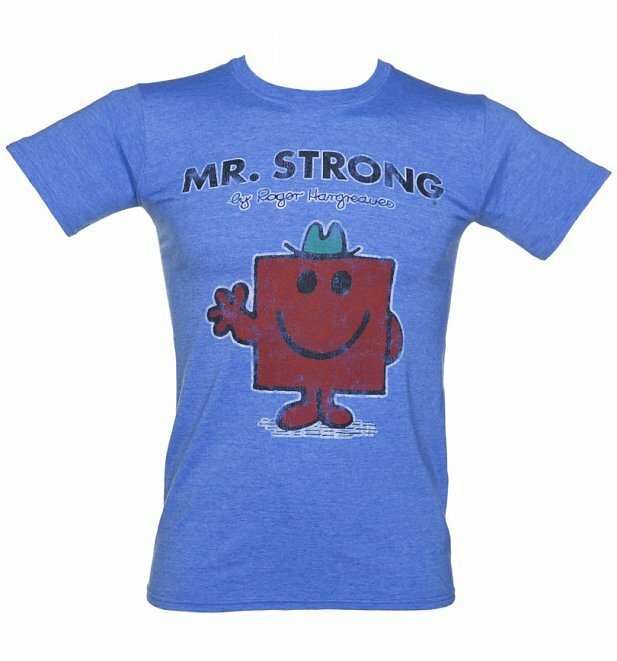 Lifting small children out of poverty' If you fancy yourself as a bit of a muscle man, and like to show off your super strength, then why not flaunt a bit of Mr Strong appreciation with this awesome t-shirt! Review: Beautiful product and speedy delivery! Review: Lovely. Sadly was a size two small so going to order a bigger size. Great products. 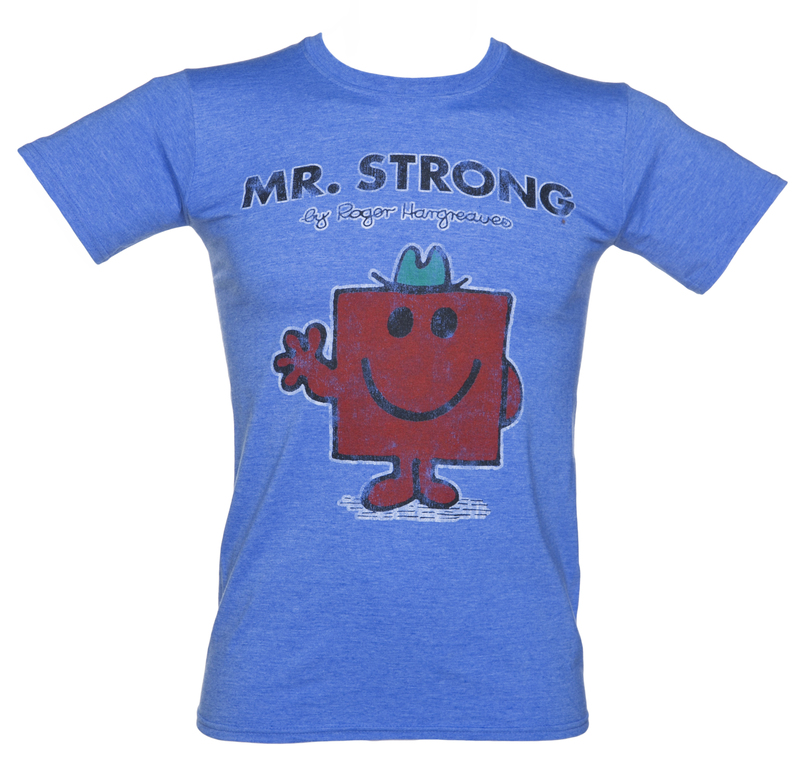 15930Mens Blue Marl Mr Strong Mr Men T-Shirthttps://www.truffleshuffle.co.uk/product_images/TruffleShuffle_com_Mens_Mr_Strong_Mr_Men_T_Shirt_14_99_1.jpg14.99GBPInStockGBP/mens/t-shirts-and-clothing/t-shirts-and-clothing/t-shirts/fairytales-and-books/80s/gifts-for-him/cartoons/mr-men-and-little-miss/gifts-for-bookworms/t-shirts-and-clothing/t-shirts/classic-tee/mr-men/blue/truffleshuffle/70s/fathers-day/exclusive/gifts-under-1514.9900We are delighted to have this awesome collaboration with Roger Hargreaves available exclusively at TruffleShuffle. 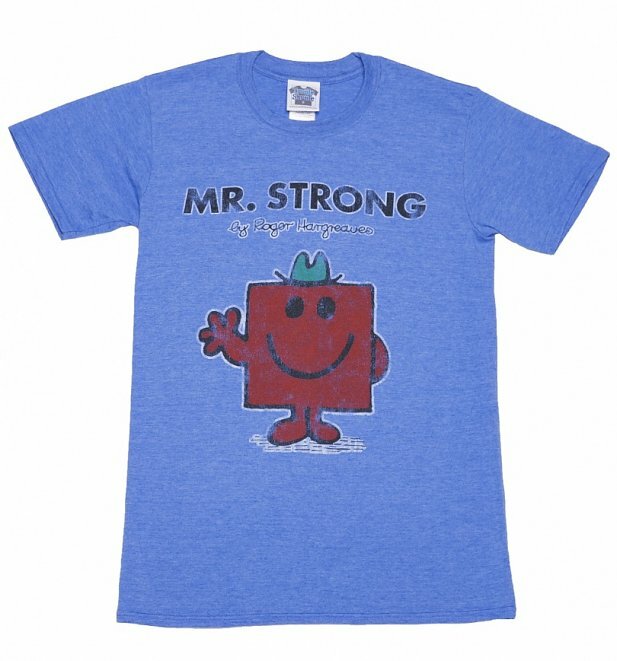 Sitting alongside childhood favourites like Roald Dahl, Judy Blume, Eric Carle and other famous authors; this Little Miss and Mr Men range is a much welcomed addition to our existing book inspired collections. Taking inspiration from the classic book covers, our nostalgic designs are cheery and fun, just like the characters that star on them.